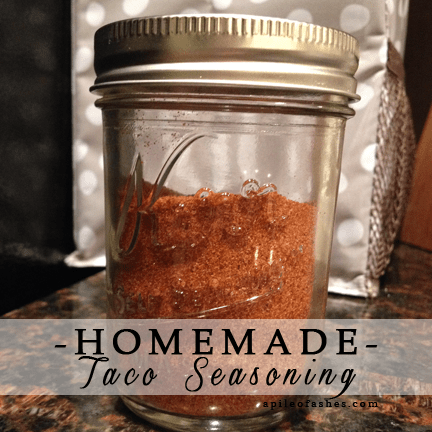 I wanted to share a quick homemade item we use a lot around the Sanford house… Taco Seasoning. We like Tacos, Taco Salads, Taco Bake… you get the picture. So having taco seasoning on hand and plenty of it is key around here. Plus it is so simple to make! Use 2 tablespoons of the mix for each pound of meat you are cooking. I like to keep mine in a cute jelly jar.